Bento theme translations are maintained by the WordPress community. 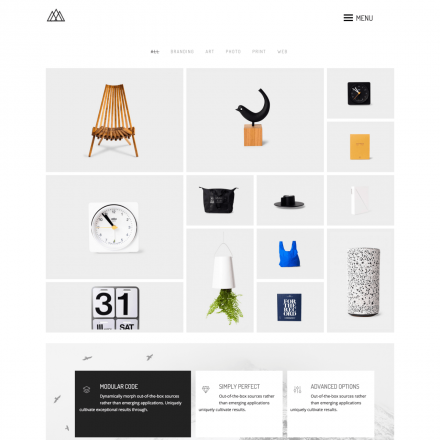 Bento is a free responsive and Retina-ready WordPress theme with a powerful set of features and wide customization possibilities usually found in paid templates. It can be used for building any type of website, from personal blogs and showcases to corporate portals and online shops. The latter is possible thanks to the full compatibility with the popular WooCommerce plugin. 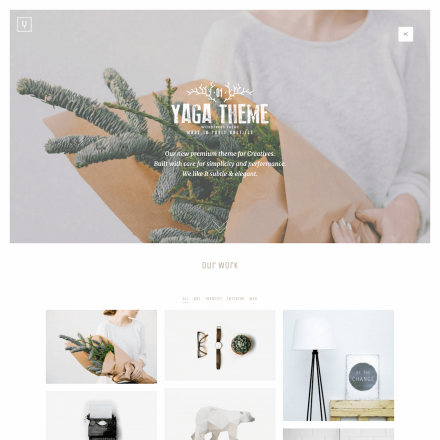 The theme includes a bundled Content Builder for quickly creating professional-looking layouts, header configurations and several grid modes with left or right sidebar, as well as AJAX post loading, sticky menu option and many more. Each website element’s color can be fully customized using the unbranded Theme Options panel. 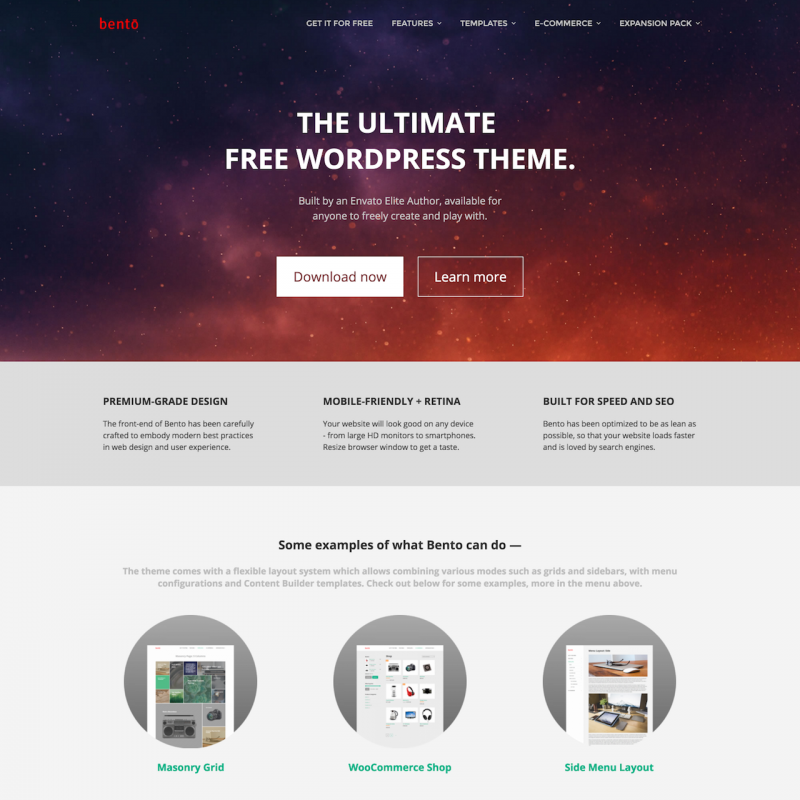 Bento is fully documented, with the manual available for free from the theme’s official website or from within the Theme Options panel.